Click on a question below for the answer—or if you don’t find your question or would like further information, contact us to talk to one of our expert advisors. What is a QROPS pension? How are QROPS pensions structured? QROPS have a similar structure to UK pensions—they take the form of an investment vehicle which is owned on your behalf by a pension administrator (trustee). A QROPS trustee must be based outside the UK and approved by HMRC. Through the vehicle you can access a wide range of investments including cash, bond, property, hedge, equity and commodity funds—with the ability to switch between them when market conditions change. Should I transfer my existing pension to QROPS? If you live or intend to move abroad for longer than five years, a QROPS pension could be right for you. They are not, however, available to UK residents. Which jurisdiction should I choose? We offer clients our own HMRC-approved QROPS, which is based in Gibraltar.. We also provide QROPS in the jurisdictions of Malta and the Isle of Man. All three are well regulated jurisdictions and offer tax efficient solutions. Am I eligible to transfer my pension to a QROPS? You’re eligible for a QROPS if you have or intend to live outside the UK for five years or more, and currently have a UK-based pension. Furthermore, if you are not British but have worked in the UK and have a UK pension, you may also be eligible. If you’ve been out of the UK for less than five years but don’t intend to return within five years of leaving, you can also apply for a QROPS. Can I transfer my UK pension to a QROPS if it's already paying out? Yes, as long as the pay outs don’t come from an annuity or certain company pension schemes. My pension is largely protected rights - can I move it to a QROPS? Yes, you can—but it may not always be the best move. Protected Rights often have far more favourable terms than standard benefits, so be sure to take professional advice before transferring them. If I take out a QROPS, when can I take the pension benefits? It depends on the rules of the QROPS fund that you have chosen, and on the jurisdiction that hosts it. UK pension benefits cannot usually be taken before the age of 55. Malta on the other hand, has a retirement age of 50 but this is only available if the member has been non-UK resident for over 5 years. What's the minimum amount I can transfer into a QROPS? There’s no minimum amount you can transfer, though transferring a single, small pension may not be efficient—generally upward of £50,000 is desirable. 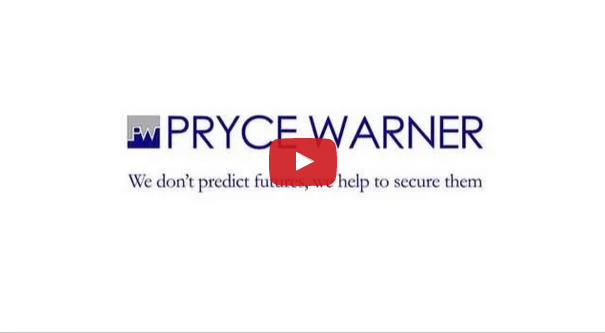 Pryce Warner can advise you on the most suitable vehicle based on the size of your pension pot and the length of time until retirement. Can I make additional contributions? Yes, depending on the investment vehicle you’re transferring into. Do I pay tax on the transfer? Will my QROPS be inheritance tax protected? Can I come back to the UK after taking benefits from a QROPS? Yes, you can return to the UK without prejudice. If you return to the UK, the transfer will have a neutral effect as UK regulations will apply to your QROPS. However, to ensure there is no taxable event, we would recommend remaining offshore until the start of the next tax year. What happens if I return to the UK before my QROPS pays out? You can return to the UK without prejudice, although to ensure no taxable event, we would recommend remaining offshore until the start of the next year. Your QROPS trustee will have to report this ‘event’ to HMRC and your pension will fall under UK pension regulations. If you return to the UK without informing your pension trustee, you will be in breach of the law. What if I transfer to an international pension that isn't HMRC approved? If you transfer to an overseas pension that is not HMRC approved, there will be serious tax implications, including unauthorized member payment and surcharge, as well as a scheme sanction charge. The sanction charge, payable by the pension scheme, is 40% of the transfer value, and the unauthorised payments surcharge, which falls on the individual, is 15% of the transfer value. Can investments in my UK pension be transferred directly to a QROPS? They need to be cashed in and the cash amount transferred to the new QROPS plan, where it will be managed by Pryce Warner. Can I invest in residential property via a QROPS? I want to transfer my UK pension to a QROPS—what do I need to do? Call us or email us and we will assist you in your transfer and the completion of the necessary transfer documents.